When Do I Need An MOT Check? In history MOT (Ministry of Transport) tests were first introduced in 1960. The purpose was the same back then as it is now; to ensure the safety of your vehicle and check that it’s not over producing toxic emissions. MyCarNeedsA.com specialise in local, convenient MOT testing services and can provide a variety of quotes to suit your needs. Come and get your MOT test quotes from us! 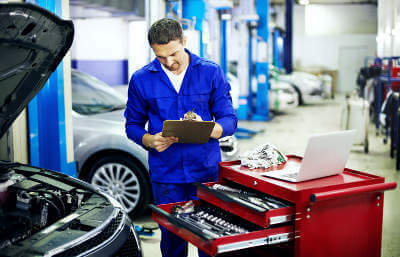 MOT certificates last 12 months and if you are the owner of a new car, you’ll be pleased to know that cars under three years old do not require an MOT. You can have your car MOT tested upto a month early, to enable you to fit it in with a busy work schedule or family commitments. You wont lose anything by doing this and the certificate will be dated from the date specified on the original certificate. However, please be aware: if you take your car for it’s MOT test on the day the certificate expires and it fails, you cannot drive it. The government phased out the old paper MOT system around 10 years ago, introducing a computerised replacement. All the MOT data for your car is uploaded onto a secure central database that can be checked easily. You can access the database and check your car’s MOT status on the UK Gov site. All you need is the registration number and the MOT certificate number OR reference number from your V5 log book. When you take your car for its MOT you will still be given a paper MOT certificate detailing the particulars of the test. If applicable you will also be given a separate sheet of advisory items. These are items the MOT tester has noted as passable but in need of repair soon, and it does make good sense to get these items repaired as soon as possible.Remember, the best way of prolonging the life of your vehicle is regular and timely maintenance. That’s where MyCarNeedsA.com can help you by providing quick, local quotes for all of your MOT advisory work. Not only is the MOT a legal requirement, you will also need the certificate given to you at the testing station in order to tax your car. If you lose the MOT certificate you will have to obtain a copy. You can get this from any MOT centre but they can charge you up to £10 for the privilege, so try to keep it safe.